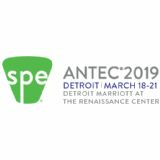 ANTEC, produced by the Society of Plastics Engineers, is the largest, most respected and well known technical conference in the plastics industry. For over 70 years ANTEC has successfully expanded from the U.S. into Europe, India and the Middle each with further expansion to global locations in the coming years. Each event boasts technical and business presentations on new and updated technologies, panels and tutorials, networking events and student functions - all providing attendees with face-to-face interaction with expert representatives from the largest industry segments.